YOLO: This pop acronym has become a favourite battle cry for the hipsters, hacks and happy go lucky adventurers of our digital generation. YOLO expresses a desire to throw caution to the wind, to take on life and all it has to offer with reckless abandon, to go everywhere and do everything, to live each day as if it was your last. . . as long as you can Instagram it. Unlike their brow-beaten predecessors with their now-fading "carpe diem" tattoos and expanding paunches, YOLOers are free from the constraints of having to use full words, whilst also fortunate enough to have an unprecedented range of listicles to help them plan their YOLOing. However, compared to other parts of the world there remains a dearth of African YOLO pointers, despite all the diversity, adventure, intrigue and sometimes outright danger that this vast continent has to offer. The majestic Mount Kilimanjaro is the highest mountain in Africa, the highest free-standing mountain in the world and one of the Great Seven Summits. This dormant Tanzanian volcano towers over the surrounding landscapes, its snow-capped peak in stark contrast to the lush green vegetation below. 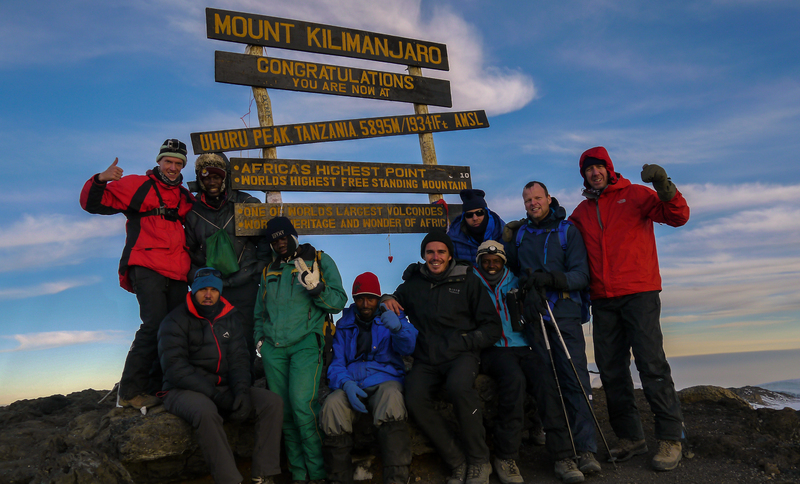 A large part of Kilimanjaro's popularity stems from its accessibility. But though it can be summited without technical gear or extreme fitness, this is no walk in the park, and getting to the top still affords some serious bragging rights. Kilimanjaro-Experience offers the widest range of different routes. 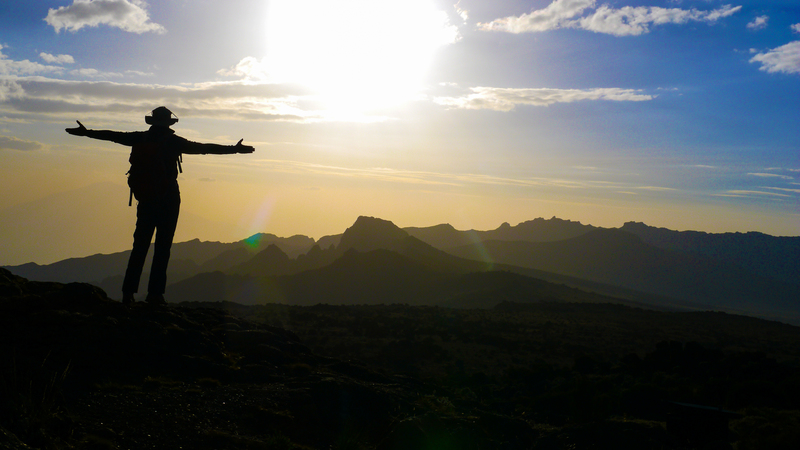 You can choose from various scheduled climbs, or if you really want to take your YOLOing to a whole new level, you can book a private climb for you and your intimate partner and get down on one knee on the roof of Africa. The sudden eruptions of violence and general instability that have sadly so-long been the norm in the eastern Kivu Province of the Democratic Republic of Congo have meant that it hasn't often been on the radar for even the most adventurous of YOLOers. 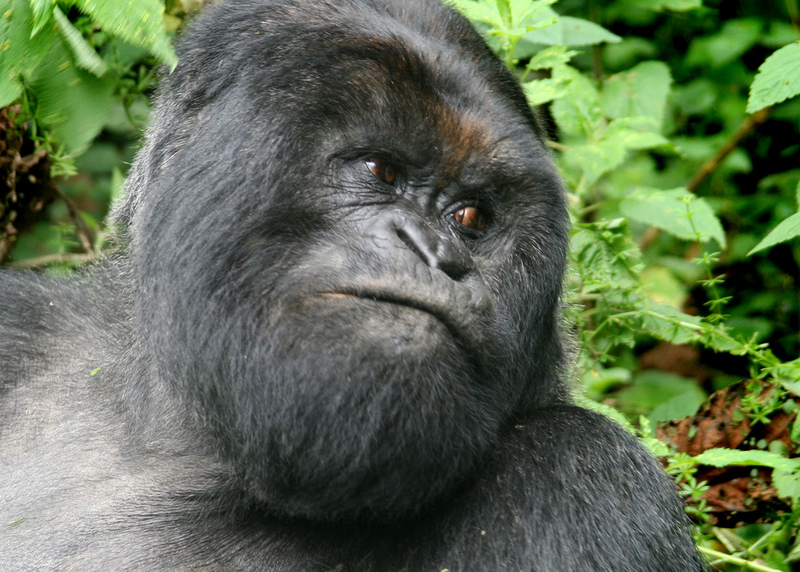 But peace has returned to the region and there is no better time than right now to visit the pristine jungle wilderness of Virunga National Park, which is home to more wildlife species than almost anywhere on earth, including about a third of the world's critically endangered mountain gorillas. There can't be many more exhilarating feelings than encountering one of these majestic animals on foot whilst trekking through the park. And if you book your trek as part of Africa Geographic's tailor-made package, you can also look into the lava-filled crater of an active volcano while you're there. Just outside the pretty and laidback Ugandan town of Jinja, the vast Lake Victoria pours into the mighty, snaking body of the Nile River. 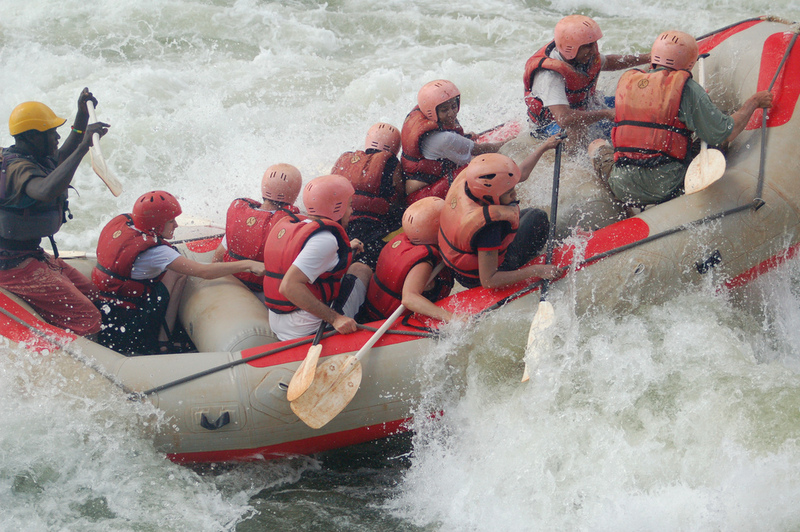 Here, close to its source, this iconic river is particularly powerful and tumultuous and has become well-known amongst adventure tourists for some of the most intense grade IV and V rapids you'll find anywhere in the world. Rafting here is certainly not an activity for the fainthearted. 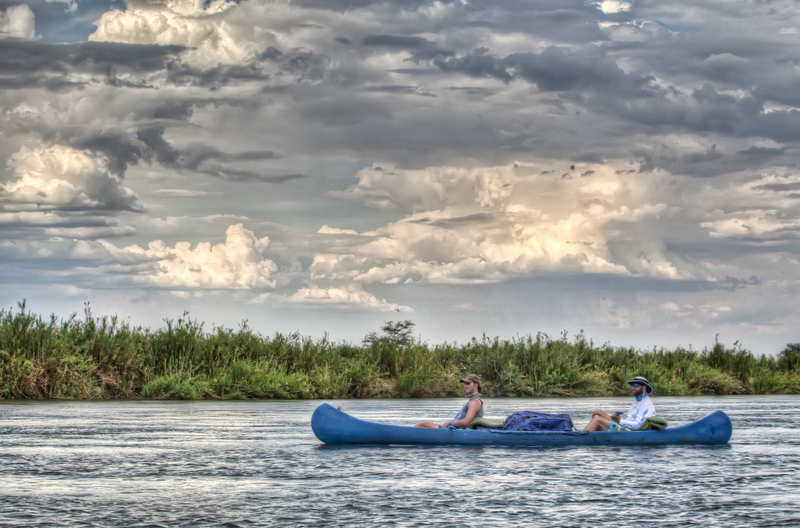 It's almost guaranteed you'll be flipped out of your raft at some point, and the abundance of crocs in the Nile certainly won't do much to settle any nerves. But for all the apparent risks, the safety record of well-established companies like Adrift and Nile River Explorers is astounding, as is their level of care and professionalism. This partly explains why a number of the rafters who come here are first timers. 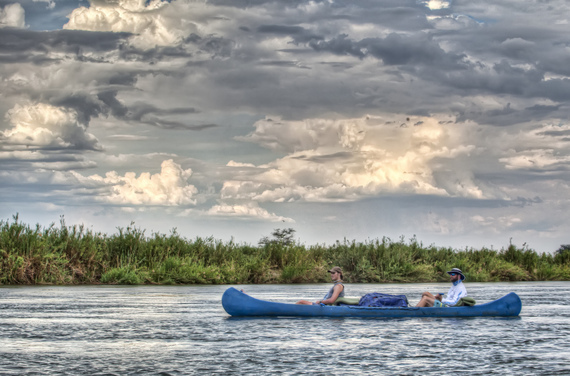 Continuing with the water theme, a canoe safari along the beautiful Zambezi River is a much more tranquil affair, and a particularly spectacular way to see the big game that is drawn to the water's edge, including elephants, buffalo, lots of plains game and astonishing birdlife. But keep your wits about you - your peaceful paddle may well be interrupted by an angry and territorial hippo taking a charge at your somewhat inadequate vessel. Hippos kill more people in Africa than anything other than the mosquito. 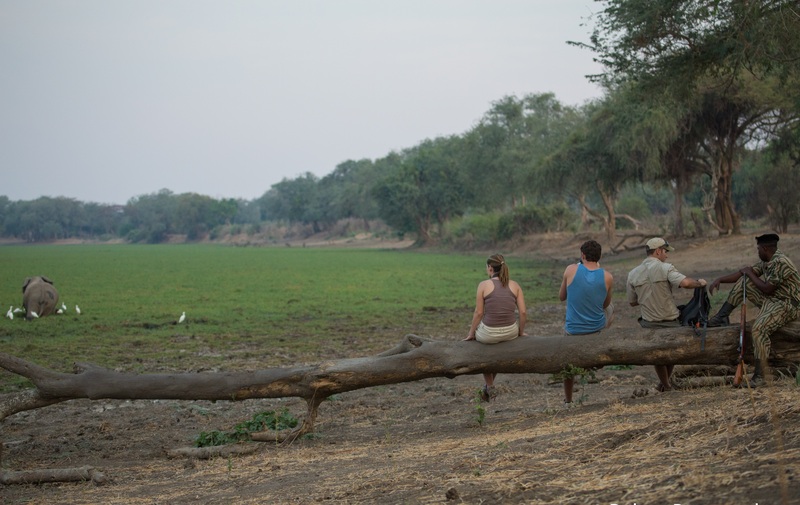 But if you manage to keep on their good side, the hippos, as well the countless crocs, are another exhilarating part of this truly raw safari experience, which will have you feeling like a modern day David Livingstone. Organize your trip from the idyllic Sausage Tree Camp, which sits right on the river bank. Staying with Zambia, South Luangwa is the country's flagship park, sometimes referred to as "Africa's last great wilderness", and the undisputed home of the walking safari, which was pioneered by Norman Carr in the 1960s. Norman Carr Safaris are still the best choice today. There can't be many things in the world more exciting than tracking large African predators on foot, and then bedding down in the middle of the unadulterated bush with their calls reverberating in the darkness all around you. Among the many predators here you'll find an abundance of leopards, lions and hyenas, as well as the critically-endangered African wild dog. Be sure not to take any meat to bed with you at night, and don't be too alarmed if you find unwanted visitors snooping around your camp. Many of the visitors that flock to Cape Town leave with a very limited view of the city. They see the plush beachfront restaurants and hotels, take the cable car to the top of Table Mountain and top up their tan. Somewhere along the way, they might make time for a quick tick-the-box "township tour". But the townships have so much more to offer than a sad backdrop for what those in the know disdainfully call "poverty safaris". Ignore the disgustingly sensationalized safety warnings, step out of your comfort zone and you might just have more fun in the townships than you do anywhere else in Cape Town. 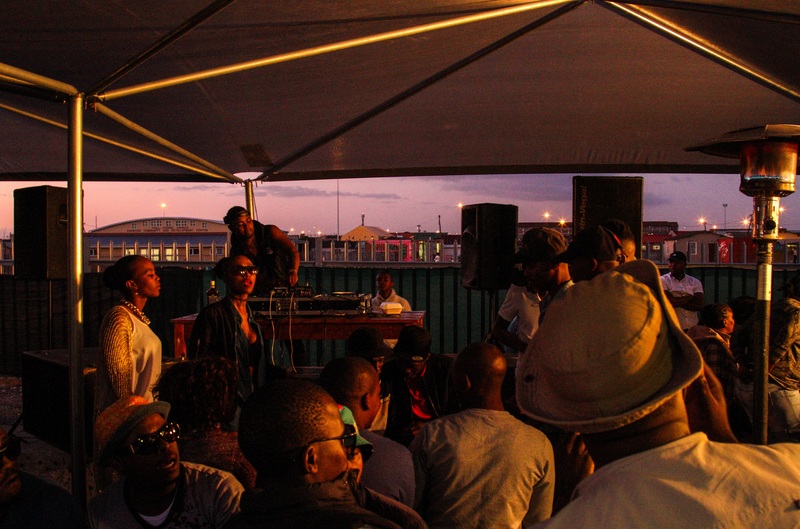 For an unforgettable slice of township life, spend a weekend afternoon cruising up and down Khayelitsha's bustling Spine Road, where the sounds of sizzling chicken, bassy Kwaito music and happy revelry never seem to stop. Book with Coffeebeans Routes for the most immersive township experiences. South Africa's False Bay is sometimes referred to as the "Serengeti of the Sea" due to its incredible abundance of marine life. The apex predator here is the feared and feted Great White shark, drawn by the veritable buffet of seal that is available to it in the bay. Great Whites are formidable and frighteningly efficient hunters and can grow to over 6 metres. 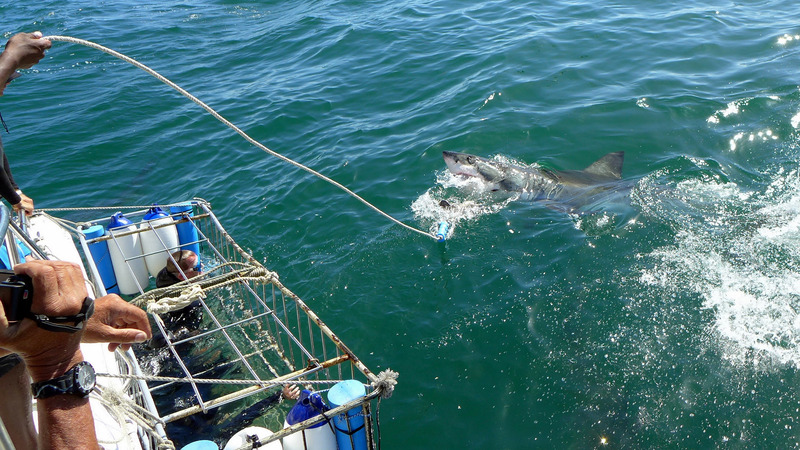 In a section of False Bay aptly-known as Shark Alley, you can drop down into the water in a sturdy metal cage and observe white sharks in their natural environment. You don't need any scuba diving certification, just the ability to stay calm - sharks are inquisitive creatures and may well try to get a close look at you. Operators such as White Shark Ventures have been operating here for the best part of three decades, and their safety record and viewing success rates are second to none. From the "Serengeti of the Sea" to the real thing. Tanzania's Serengeti National Park sets the scene for what's come to be known as the "greatest show on earth." Every year more than a million wildebeest and hundreds of thousands of zebra cover the vast open plains as they make their way towards the Mara River and then all the way into the northern reaches of Kenya's Masaai Mara Game Reserve. Well, that's the end goal at least. 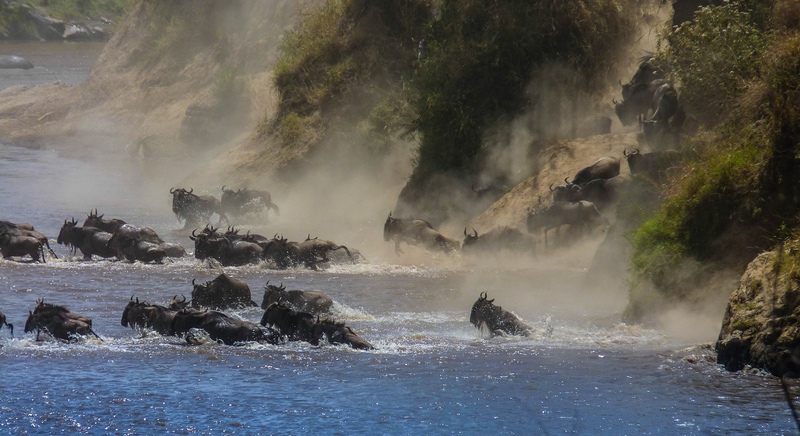 In reality, many of the migrating animals become prey for the numerous Nile crocodiles as they cross the Mara River in a mad frenzy. The feeling evoked by this spectacle is impossible to describe. You have to experience it for yourself. Follow the migration with Tanzania-Experience and you can combine your safari with a Kilimanjaro trek for maximum Tanzanian YOLOing.